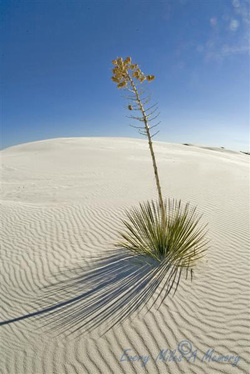 The Soaptree Yucca is commonly found in the Sonora and Chihuahua deserts, Texas, New Mexico, Arizona and northern Mexico. It grows from 10-18 feet high and bears brown fruit. It is known as "soaptree" because inside the roots and trunk of the plant is a soapy substance.